Thought leadership for business development. Are you a brand name stalwart, practically married to a coffee, computer software or a particular service? If so, you’re probably able to rattle off a litany of reasons to rationalize your brand name relationships. To be truly successful in marketing and advertising, we need to understand Behavioral Economics (BE) at a deep level in order to most effectively influence potential clients and/or customers. Long before BE had a name, marketers were implementing it, for instance, Three for the price of two offers. Yet, despite marketing industry leadership use of BE, to this day, few utilize BE principles in a systematic way. Solid BE marketing management works like magic to make seemingly irrational purchasing patterns more predictable. Understanding exactly how small changes to the details of an offer can influence the way people react is crucial to unlocking significant value-driven marketing technique and dominance. Marketing professionals worth their salt know: ‘the ground is moving beneath our feet’. Fickle consumers are more demanding, enlightened and empowered. Hence, maintaining brand control is harder than in the past. Customers expect brands to create meaningful, relevant experiences to simplify their purchase decisions and … their lives. The secret sauce in BE is understanding how your customers make decisions and how your marketing should influence these decisions. As marketing and communication professionals, we’re frequently asked by nervous entrepreneurs and professionals headed to networking meetings about the best way to put together an “Elevator Speech”. Fear not! Surprisingly and simply Willy Wonka has the answer. First, let’s define an Elevator Speech. “An elevator pitch (or elevator speech or statement) is a short summary used to quickly and simply define a product, service, or organization and its value proposition. 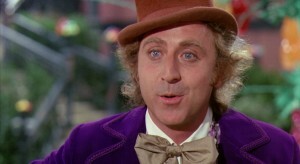 Back to Willy Wonka, the fictional character originally played by Gene Wilder and later Johnny Depp in the 1964 Roald Dahl novel Charlie and the Chocolate Factory. Incredibly, Wonka depicted the best way to begin thinking about effective ‘elevator speeches’ in his description of the Great Glass Elevator, which he called the Wonkavator. To be effective, think in terms of your creating a Great Glass Elevator Speech that moves up, down, sideways, slantways, longways, backways, frontways, squareways. Instead of a Traditional one-way Elevator Speech which proceeds only from the speaker to the captive, often dismissive listener. Let’s look at a few reasons traditional one-way elevator speeches potentially do more harm than good. Growth starved companies are commonly practicing Random Acts of Content; releasing periodic white papers, articles, videos, and blog posts with little focus or depth. However, when you are dealing with high level clients facing serious business challenges, this scattershot approach provides little value. An invitation for discussion…which ultimately provides an opportunity to get to know your client – and connect better – through meaningful communication. A Strategic Thought Leadership Program helps position you as The Trusted Advisor in your industry. A thought leadership program provides the organization, the executives and the salespeople with a sustained stream of education and advisory content to help open doors, make more effective sales calls, differentiate their organization and deliver trusted advice, services and product. As you build a thought leadership position over time, your company will be increasingly seen as an industry authority, resource and trusted advisor, enhancing your brand’s visibility and reputation, helping you generate revenue and inspiring client loyalty. In order to reach those objectives, a strategy is required which focuses on the creation of content relevant and compelling to your target audience, engaging those audiences where they congregate. Thought leadership programs enable companies to leverage business development, marketing, sales, and strategic branding. There are practical steps your company can take to design and execute a thought leadership program to help your sales force generate measurable sales growth in the next sales quarter. integrated with your sales process. calls, e-mails and phone calls. your messages as something someone is going to want to read. integral to your new branding effort. when you can add the word “author” to your attributions. no better way to spend your marketing money. marketing, there’s a lot to be said for a physical presence. 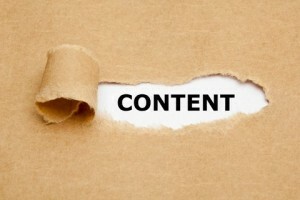 Leverage your content. A thought leadership program is about pervasive presence and ongoing conversation, not just traditional publishing and speaking. Clients want to think about and debate your ideas. To encourage and facilitate this discussion, you need to leverage your thought leadership content by publishing compelling bits and bytes in appropriate formats across the networks and channels frequented by your clients. If you’re working on a white paper, for example, you want to think: Is there a short video we can produce? Where can we blog about this? What articles can we publish? Where are the opportunities to brief our clients on our new thinking? When our kids were little, they would eagerly snuggle up on the couch to read over and again favorites such as Fuzzy Tail Bunny, Guess How Much I Love You or any book that would take us to Narnia or Wonderland. Many recall with nostalgia gatherings around the kitchen table, hearing and telling stories about legendary relatives or perhaps amazing peers or simply the day’s events. These instances are the beginnings and ongoing catalysts for most people’s appreciation for story. Storybooks to faith gatherings and beyond, we are continually drawn into the antics, emotion, trials, lessons and the humor of stories. Storytelling is in our nature; it is the way we most naturally communicate and engage with each other. Storytelling touches our hearts as well as our heads. Stories provide credibility and emotion. Credible ideas make people believe. Emotional ideas make people act. 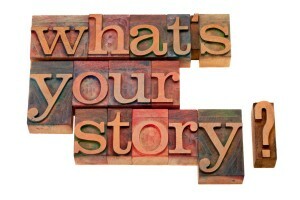 So what is your story? Is it relevant? Strategic Storytelling is the use of this timeless and infinitely familiar craft to focus and inspire brands, businesses and people. Imagine yourself at a meeting with a venture capitalist. You need a few million dollars to launch a new technology that will remove pollutants from water at almost no cost. You might present a few dozen data packed slides showing revenues, costs, discounted cash flows, and projected profitability. Now imagine relating a story about what inspired you to create the technology in the first place… about a trip you made to Africa, where you found millions of people suffering from an inadequate water supply, and how one family in this little village lost their children as a result. Then, you describe a scene where this new technology has been implemented in that village, and the entire village now has an inexhaustible supply of clean water. There are no more deaths as a result. Stories are powerful influencers, perhaps more than any other influencer. Storytelling is the new differentiator. Facts and figures, specifications and price are all still important. But it takes stories to connect with customers on an emotional level. The motivation to choose one brand over another – when the choices are endless – is triggered by emotion. “The Long Tail” … a phrase that has been imbedded into our consciousness by Chris Anderson, executive editor of WIRED magazine through his book, The Long Tail. Since gaining popularity, the term has been used to describe everything from viral media, guerilla marketing and grassroots campaigns to niche marketing and blogging. More than just brand exposure, using ‘The Long Tail’ begins by building trust with those most likely to both listen, as well as spread your message. The “Long Tail” as Anderson describes it is much longer, much thicker and more lucrative than any of us may have initially realized. We need to explore new niches, or go deeper into a niche we may have already found. People are tired of buying the same old thing – cookie cutter products and or services. We all tire of being lumped together with the rest of our supposed demographic. While demographic profiling may help determine broad trends, it will never reflect the individual tastes and nuances. And, though seemingly simplistic, the time has never been better to seek and find specialized niches and market to those hungering for such. 1. Messaging is Critical: Using the Long Tail focuses your marketing message on clients – treating them as individuals with unique interests and needs – new niches. 2. Focus: Take the time to carefully hone a message that’s highly relevant to each of your target niches. Speak to them on their terms, not your own. It is better to reach a few hundred people who are enthusiastically listening to your message than a few thousand who aren’t. 3. Choose the correct tools to support your message: Media neutrality is key. Should you use traditional media? Social media? Or a combination of both? Use your basic research and your communications objectives as a guide; consider the types of social and traditional media tools that meet your objectives. Look at ways to extend the message from a standard press release into multiple social media venues such as video and blogs. Exploring smaller niche sites, bloggers and other influential online contributors are also critical. These are the individuals and media outlets that make up the Long Tail, where a large number of highly targeted messages can have as much impact as a single, big media marketing campaign. 4. Provide valuable content: Understand what your clients want to know and deliver it to them in a relevant and compelling way. Delivery of valuable, relevant and compelling content to your clients and on a consistent basis says you want to relationship. You want to communicate, to understand their needs and be willing to provide relevant services and products to help them. 5. Take a position as a thought leader: Achieve a unique identity – demonstrating leading-edge knowledge. Make your potential and existing clients feel wiser, smarter and safer in your hands. Whenever possible, provide them with news, video, links and other valuable content. The more trustworthy your approach and the more genuine your shared interest, the more receptive your audience is likely to be. A recent Forbes article, ‘The Disappearing Sales Process’ discusses: “Research from Google and the Corporate Executive Board (CEB) citing The Digital Evolution in B2B Marketing provides new insight into buyer behavior, and it challenges the conventional wisdom. Content Marketing can be a strong way to support the sales process before and after the salesperson is involved. Content marketing is the art of creating and distributing engaging, relevant, timely and valuable content that will be of interest to your specific target market. The goal is to drive leads, which will convert to new clients and grow the business. Companies are commonly practicing Random Acts of Content; releasing periodic white papers, press releases, articles, videos, and blog posts with little focus or depth. This scattershot approach provides little value to clients and/or prospects and hence is a waste. In fact, distribution of irrelevant information may destroy the purveyor’s credibility with recipients. Would you rather have a conversation with your best friend or a total stranger? A Content Marketing Strategy is really all about knowing your audience, knowing your platform and getting the two in sync. For instance, a software company might create a blog that contains valuable articles about their niche and how it benefits their customers. Companies should create high quality content. By high quality content we don’t just mean information. By high quality content we mean information that is first-and-foremost of real benefit to your key client base. True friends provide one another with valuable presence and information. Content must be of value to your audience; anything less is insulting to recipients as it is disrespectful of their time. Create the type of information your clients need and actually want to consume. •	Educates your clients, show them, explains what to look out for, and solves problems. •	Should be about what the reader needs or wants, not posturing. •	Should be clear and concise. Marketing with valuable content is a win-win-win: getting into the heads of clients and prospects to the point of putting their interests first and supplying the information/solutions they need, inevitably leads business growth for all. Companies spend fortunes establishing and promoting their brands, only to ignore one of the most profitable brand weapons in their arsenal: the CEO. Surveys show companies with a well known, positively regarded CEO perform better in the stock market. However, it is very important for CEOs to be known by potential key stakeholders such as the media, employees, clients and the public for reasons beyond the price of a corporation’s stock. A positive CEO profile will improve morale, recruitment and sales. Even though CEOs are themselves a brand, many companies waste this asset. Knowledge is not effective unless it is communicated. The proper way of communicating is not only through speaking, but includes proper dress, body language, social etiquette, media relations, government relations and investor relations. All of which sum up to public relations. The effective CEO needs to convey a command of strategy, and consistent vision to both internal and external audiences. As a CEO, one must be able exude a consistent, credible persona to your stakeholders. This is achieved through appropriate, strategically timed publicity campaigns, commentaries, articles, interviews, public appearances, press conferences and so on. Such communication is about bringing your values to life. The phrase (idiom) “Bury the Hatchet” means to forget about arguments and disagreements . . . It appears traditional media and social media are at war with one another and that’s not the answer. We need to move past the arguments and disagreements. Some companies believe that just because social media answers some of their most pressing needs with regards to communication and marketing, that they should abandon traditional media. We all recognize the importance of harvesting a social media presence, but the biggest mistake we see in a company’s effort to implement a marketing strategy is their approach. A well designed integrated marketing strategy should take note of Aristotle’s statement: “The whole is greater than the sum of its parts.” For optimum results, social media should be integrated with traditional media. Social media has become an extremely important part of how businesses market their brand, products and services. Traditional media carries with it a great deal of credibility and although it may not create the same kind of buzz that social media creates, it is a very important contributor to the success of business. You must understand how to integrate social media with traditional media into your advertising, public relations and direct marketing campaigns. In order to succeed, you must be open to new ways of thinking about integrating your social media and traditional media. If someone builds you the framework and a process for integrating your social and traditional media, you can apply it over and over again. Marketing is changing and it’s time you considered your options. Whether you’re a large corporate brand like Audi, IBM or a small business trying to make it in this economy – you need to recognize how marketing your business is changing and how you can change to improve your business. What are the issues? What are the answers? See our 5 Steps to a New Marketing Model. What would your business look like tomorrow if your best customers left you for a competitor? Testimony to the realization: You are smart and you know how to survive this economy. 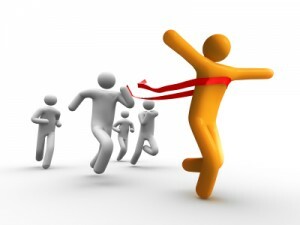 You realize your best customers are being courted by your fiercest competitors, both online and by traditional methods. You’re holding your own and keeping them happy. You must have the service mentality, marketing know-how and fulfill a niche that safeguards your business from losing your top clients. 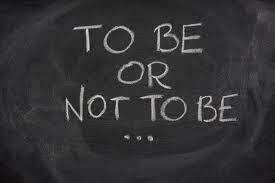 Or do you? Do you know for certain? Recently, Guy Kawasaki, former Apple chief evangelist, tweeted about a study posted on Social Media Today called “Social Media case study: Broadcast vs. Engagement in forums”. The study’s premise made a strong case: the traditional marketing concept of broadcasting a message at a market is less effective than building an engaging, interactive campaign which seeks the active involvement of the target audience. The study indicates a strong increase in views, and especially in comments, occurs when a promotional campaign that makes claims is changed to one that asks questions.